To book online, choose from the available centres and select the date below – dates and times vary by centre. 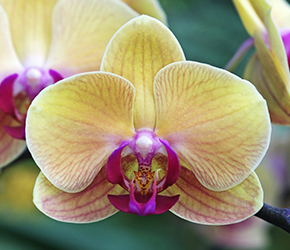 Join orchid expert Manos Kanellos as he teaches you how to look after your orchid, encourage flowering and how to repot them. Your welcome to bring your own orchid along for a MOT by Manos. Tickets cost £10 per person, which includes the talk, orchid MOT, hot drink (glass of prosecco at Long Ditton) and a voucher for £5 off any orchid* purchased on the day. The talk will last approximately 45 minutes followed by a Q&A session and the MOTs. Advanced booking essential. Tickets are limited.